Todd Chrisley has earned his fame from being the star of his very own reality TV show, Chrisley Knows Best. The show followed his life and his family’s life throughout the years and earned many adoring viewers who kept watching every week. Todd’s Chrisley personality is what intrigued viewers to keep watching as he always has something to say and a unique approach to life. Todd isn’t an actor or an entertainer he pretty much got his reality show because of his interesting personality and family similar to other families that have earned TV fame for just being entertaining. Todd started out as a real estate businessman and was pretty good at his job earning himself a good living as he provided for his family. His family is a big part of the show. On the show, the family talks about everything even showing some uncomfortable situations and arguments they have gotten into. Off camera, the Chrisley’s have continued to be the talk of the town. Their relationships within the family have been turned into headlines that sometimes don’t make them look so good. This is the story of Todd Chrisley talking all about him and his family even after the show has stopped airing. Todd Chrisley made a huge name for himself in the world of Hollywood with his reality television show, Chrisley Knows Best. The show, much like Keeping Up With the Kardashians, simply documents his life, complete with lavish lifestyles, family issues, and no shortage of outrageous arguments. His quirky personality captures audiences every week to watch and follow along with his family’s adventures. With all this fame comes lots of stories circulate, it happens to all reality stars and famous people. Chrisley couldn’t avoid it even if he tried but you know that Todd has his way of dealing with problems. 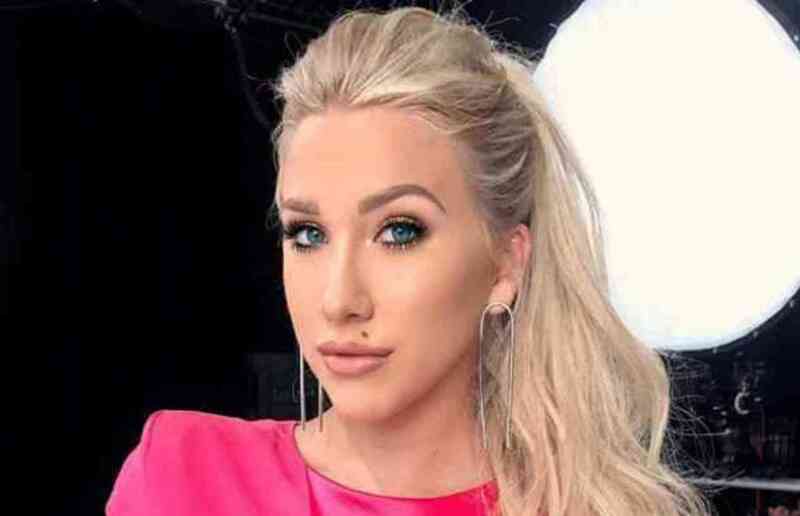 Many of Chrisley and his family’s issues have come out for all to see, and one of them concerning his daughter actually turned into legal trouble. It’s concerning and fans of his are interesting in knowing all that went down. Todd Chrisley had always dreamed of becoming a television star, and saw his dream come true in 2014 when his pitch was picked up by USA Network. He could not say no to this. Even if it meant bringing his family into the show. His reality show, Chrisley Knows Best, took a look into the daly lives of him and his well-to-do family (including his extended family, who make appearances frequently on the show). People have learned to get to know to all the family members and love what they see. The very first episode reached over one million viewers, and was ultimately signed for a second season within days. There are literally reality shows based on pretty much every topic out there but nothing compares to this unique family and their relationships. Viewers were glued to the screens and wanted to see more and more of the Chrisleys so no wonder the success of the TV show. Much like with any reality show, you have to be prepared for the world to give its opinions on everything you do, and people are especially critical when it comes to children involved. Chrisley was not shy about disciplining his kids on live television in the manner he saw fit. It was something that people have never really seen before on television and it is what made his show different. His beliefs were there for everybody to see and he had to deal with whatever backlash it brought upon him. The world watched as he threw one of their MacBooks into a pool, and when he made another one change her outfit to fit his own fashion standards. Fans had no idea but were obviously entertained at his crazy parenting style. They learned to understand Todd and realize this was his way of showing he cares for his kids. But this harsh parenting style was nothing compared to what he did with his daughter, Lindsie. While he had huge troubles with his daughter, Chrisley also had a rocky relationship with his son, Kyle. But just how bad their relationship was was revealed in season two of the show, where viewers noticed a significant drop in Kyle’s appearances in the house. Fans were confused because they were used to seeing Kyle all the time in all the episodes and his absence was felt. Was the family falling apart? People wanted to know what was going on in the Chrisley household. When asked about this, Todd Chrisley was very adament in his stance that Kyle had “chosen a different route in life” and did not want to continue the show. This made some sense but still left fans with many questions about what actually went down. It was also only one side of the style and Kyle had a very different idea of what happened. The media was awaiting his response and reaction to what was going on with his father. Despite Chrisley’s defense that Kyle chose to leave the show by himself, Kyle attests to a very different version of the story. He claimed that his father actually gave him no choice and forced him off of the show. It felt like the family tension was at its peak with these two. It was confusing to know who was telling the truth and who was lying and being dramatic. The Chrisley’s were known to be emotional and over the top so the story just made a big mess for them. Chrisley responded to what Kyle said about him. When asked about this, Chrisley claimed that he had to ask his son to leave the show because he refused to stay on his medication and was making the crew feel uncomfortable. He stated Kyle needed to be removed from the situation and the show was just taking a toll on him. He believed that Kyle away from the show would be better for everyone. But the arguments seemed to cause more stir in the media than do good. Kyle has not been quiet about trying to out his father for what “really” went on during the show. In 2014, Kyle stated in an interview that the whole show was completely written and dictated by Chrisley himself, and that none of it was genuine. This wasn’t what people wanted to hear about the show they loved so much. These were harsh comments to be made and it seemed like the show would not keep its original essence after Kyle’s claims. Kyle even recalled times where Chrisley completely stopped the show because something was happening “off-script” and not to his liking. The “script” was what drove the show to be like it was and Kyle had enough of it. He told the world his view and wanted to disconnect from it all. But remember this was his family! It was a truly hard situation to be in that went beyond TV scripts, it tore the family apart and broke a relationship between a father and son. Once again, Chrisley did not let his on’s claims go without an answer. He said tha the fact that the show was planned out in any way by himself or anyone else. He passionately claimed that the family members were allowed to completely be themselves and act naturally. According to Todd there was no scripts like Kyle said. It seemed like everything Kyle would say Todd would just fight back and argue with. This was not the way to mend the relationship. He also said that the whole family has a great relationship, despite his son’s claim that the show left a bitter taste in all of his children’s mouths. This argument with Kyle affected everyone. It was something hard to ignore. Especially since the media was hovering over them at all times trying to find out more and more. It seems Chrisley could not avoid the questions that surrounded him in this situation. One specific claim that Kyle made against his father was that he had a completely fake, on-camera relationship with his actual granddaughter, Kyle’s daughter Chloe. In fact, some have claimed that Todd only wanted her on the show to boost its ratings, and not because he wanted to be a good grandfather. These were extremely harsh claims that made Todd look like a very bad guy. It’s a terrible thing to say if it’s not the truth. And to get a little child into the mess also a bad thing to do if it’s all lies! Of course, Chrisley had a rebuttal for this as well, saying that Kyle actually said he would sue if she didn’t get any airtime. He turned it on Kyle. It seemed they were both using the same tricks. Neither of them wanted to step down from their pedestal and tell the truth, arguing through tabloids and media seemed like the best solution for them. They were family but were acting like total enemies, a hard thing to deal with for both of them. When you hear the background of the story of Todd and Teresa, it can seem like a fairytale. Met at 19, started dating soon after, and then married just three years later. But the truth underneath the romance was that on their wedding day, Teresa was pregnant. She had got pregnant while they were dating, and so Todd had felt that he should be asking her to become his wife. They started their family at an early stage of the relationship and this was bound to cause stress. They were pregnant with their first daughter, who they named Lindsie, which is where all of the trouble began. A young and new couple, a big fancy wedding and now a child to take care of. It was a a lot to handle and they had to face everything together. They only had each other at this point. They quickly realized they want to continue growing their family and slowly but surely the Chrisleys as we know them today formed. It didn’t take long before Lindsie was welcomed to the world, and Todd and Teresa had hardly had any time at all as man and wife alone. Soon after that, Kyle joined their family, on August 29th 1991. And now the Chrisley clan were a family of four. The dream- husband and wife and two kids. Seemed like it was going the way it should have been but there was another kid and more things to handle. Todd and Teresa started to build their parenting philosophy while raising their eldest children. They didn’t have much money, but Todd was hoping to strike it big in the property market. He tried investing all the cash he had into making the fixer uppers worth buying. Teresa says that it was all one big adventure for them, but it must have been tough with two young children who needed to be supported and raised in a proper home. Together they tried their best and made the most of what they had. It’s no wonder that all wasn’t actually perfect under the surface to begin with. With Todd feeling the pressure of trying to provide for this sudden family, and his new wife. Todd was known for being controlling, expecting that the young kids were tidy at all times, without toys left out. Teresa was also expected to look her best at all times, fully made up and with gorgeous clothes on. Was this an unrealistic expectation of Todd to have of his overworked wife and young kids? Almost certainly. And it led to something really terrible. Unsurprisingly, the marriage wasn’t built to last, and as we all know, Teresa and Todd got divorced. It actually took them a few tries at separation to make it official with a divorce in 1996. They know had to discuss what would happen with their daughter. Seperation is not easy and comes with a lot of things that need to be talked about. As the couple’s marriage was falling apart, the two began to argue about what would happen with Lindsie, and where she would go to live. The idea was for them to have joint custody over Lindsie. Joint custody means just that, the two parents have equal custody over their children. But with Todd, nothing was going to be simple. Despite the agreement, Todd wanted to move to California. How could they split their time evenly with their parents if they were so many miles apart? As the kids weren’t exactly babies, they made their own minds up. Lindsie wanted to go to California, and Teresa agreed they shouldn’t be parted. Little did they know, it wouldn’t last long. As Todd and Teresa’s marriage was turning ugly and their custody battles did not stop, Todd did something so illegal that he could have been thrown into prison for a long time, had Teresa not been so forgiving. Todd actually took his daughter Lindsie without her mother knowing, and took her away with him for two months before any kind of custody agreement was reached. This ended up being the last straw in Todd and Teresa’s turbulent relationship. In the background to this custody arrangement was a new figure in the kids lives. Todd had married Julie Hughes, only one month after the divorce had been finalized. They had known each other for quite a few years, and Julie’s past was quite checkered. She pretended to the world that she was the winner of Miss South Carolina, which turned out to be a lie, she also had a brother who had harmed himself in their childhood home resulting in his passing. And the family was growing! Julie and Todd had two children together, Chase who was born only months after they got married, and a daughter Savannah who is just a year younger than her big brother. Chase wanted to be an athlete, working hard at sports throughout school, and Savannah was quite the young beauty, looking towards the pageant life. Here they are as young kids, looking adorable we must say! Todd was no longer struggling with fixer-uppers at this point though. The growing family was a complement to a growing business, and Todd was now flourishing under a booming property market. He had invested widely, and Julie and her kids were benefitting from his savvy earlier choices. He started an asset management company called Chrisley Asset Management, which worked hard to find properties and flip them at a huge profit. But it wasn’t all uphill from here. In fact, in 2008, it was very nearly all over for the mogul Todd Chrisley. This was of course, the year when the property market took a nosedive, and people began to be cautious about buying new homes. Todd had to start taking out loans to make ends meet, which wasn’t helped by the birth of his youngest child, Grayson who had been born just two years previously, in 2006. Aside from the crazy ordeal with his daughter, another one of the biggest things in Todd’s life that gets alot of media attentio around Todd’s life has to do with his finances. Todd told the police that he spends around $650 every single year on clothes (which we all have a hard time believing). Chrisley’s son, Kyle, made things even harder for him when he told the media that his father wasn’t exactly being up front about his taxes. He said that they had a fake life in Florida which helped them avoid paying taxes in Georgia. We don’t know for certain if that is true, but we do know that in 2012 filed a personal Chapter 7 bankruptcy form and in 2013 filed a corporate bankruptcy form for his buisness, Chrisley Asset Management (CAM). Chrisley claimed only have $100 in cash to his name, $4.2 million in total assets, but nearly $49 million of debt. Another financial strain on the family were the bills which were stacking up for the help Kyle was getting for his personal issues. He was only 19 the first time he had to check into a self help center, and although Todd told the world that it was costing him millions, he actually wasn’t paying those hefty bills at all. The center ended up suing the family for thousands of dollars in unpaid bills, a huge public embarrassment for both Todd and Kyle. Perhaps that’s why, in 2012, the family actually filed for bankruptcy. Grayson’s birth, Kyle’s treatment, the downturn in the property market, it was just too much. They were an astonishing $49.4 million in debt, more money than even most celebrities see in their lifetime. The debt was split amongst mortgages, ($12 million) loans, ($4.4 million) and a crazy $30 million business deal which had gone horribly wrong. But it wasn’t just money troubles that were hanging over Todd’s head. Family was also causing him trouble. On the 12th of November, 2012, Kyle and his girlfriend Angela had a girl, Chloe. The pair eventually split up in 2014, which brought its own slew of problems. Angela was reportedly taking child support from a charity which helped struggling families, but why weren’t the Chrisley’s giving Angela any money to help Chloe? The Chrisleys were not being allowed to see Chloe at all, which led to them heading back to court so that they could have her in their lives. But it wasn’t Todd who managed to save the day. Allegedly, it was Julie who solved the problems, allowing Chloe to become a member of their family properly, and managing the financial situation, too. Needless to say, this didn’t help the situation between Todd and Kyle, as Todd was no help at all. You might have heard about the sticky situation that involved Todd’s sister in law Pamela. She was married to Randy Chrisley, who is Todd’s brother. When the couple divorced, Pamela got nasty, threatening to tell the media crazy stories about the Chrisley’s, if Todd refused to give her hundreds of thousands of dollars. But does Todd seem like the kind of guy who reacts well to being sent messages of this sort. Fans know he is not afraid to speak his truth for everyone to know about. Todd went public with Pamela’s threats, along with a photo of Pamela and the whole situation on his side, right on social media. He used Instagram to tell the world what she had been trying to do. Yikes! Not exactly the happy ending she was expecting. Pamela responded by telling the world that Randy had been paid by Todd to keep his secrets to himself, and that Todd was used to paying people for their silence, so it wasn’t surprising that she had tried! Could it be that things are not that great between Todd and Julie either? Kyle has spoken out in the past about his dad and stepmom, saying that they are only together because Julie likes Todd’s bank account, rather than actually loving the man himself, It’s certainly different from Todd’s first marriage, where they had so little cash that it was obviously not about the money! Todd and Julie say that they are very much in love. Shane Stevens is popular songstress who sings country music in the United States. But what has she got to do with Todd Chrisley, we hear you ask! Well, in 2016, Todd decided that the television world wasn’t enough to conquer, he also wanted to be a country music star! He went about it by recording a song with Shane Stevens, which they publicized using the show, playing it at the end of season four. It became number one before it was even released! But Todd isn’t afraid of being a busy guy. As well as his two television shows, his music aspirations, and his time consuming family and social life, he is also looking to move into the world of fashion! Could he be thinking about launching his own clothing line, or pairing up with another big media name to make this happen? The truth is, whatever Kyle and Lindsie think of their dad, he is clearly trying to stand up for his kids when he can. One recent example is to do with his daughter Savannah. There were headlines flying around that she and her boyfriend Luke were total splitsville. Knowing this upset her, and knowing that he had a huge media following to help spread the truth, he shared a photo of the pair happily coupled up while on holiday together. The cynical amongst us might think that he is just trying to keep Savannah on his good side, as actually, she looks set to get her own spin off of the show! Alongside her brother Chase, they are taking steps to continue the Chrisley take over of the whole media world, and are in talks with producers about what their own show would look like, and how to make it happen! It’s all about them facing the world and becoming adults, so good luck! You’re probably wondering about Todd’s dear old Mom, and how she comes into all of this. What is the relationship like between Todd and his mother? Well it has its ups and downs because Todd’s life is anything but boring with this relationships. But there are some crazy stories about Todd and his mother, including the time he defaulted on the mortgage on her home, and she was forced out when it was repossessed! His 49.4 million dollar debt catching up to him, and affecting his mother, too. Todd is also known for teaching his mom a lesson in the most surprising of ways. You might remember how Todd decided to punish her for driving with a suspended drivers license. Ok, she definitely shouldn’t have been driving, but what son plays the kind of prank where you pretend your mother has been arrested by the cops? She certainly did not see the funny side when he ‘fessed up that it was all a joke, and we can see why! But the funniest situation happened just recently between Todd and his Mom. He caught the 72 year old woman engaging in an activity that’s usually kept for teenagers, which consisted of initimate text messages with men! She has messages on her phone from more than one flirty partner, and Todd reads them out loud on the show, in horror at the suggestive messages to his ageing mother. “Can’t wait to lay eyes on your voluptuous body? !” he gasps, as the rest of his family laugh and jibe. Unsurprisingly, Todd did not see the funny side, even when Julie teasingly asked him why he was upset about a potential new daddy! Todd is known for being hugely overprotective about his kids love lives, so why should he be any different when it comes to his mom? He was not going to take this lying down, and you can imagine what steps he might take to kerb this behavior with his mother once the cameras were off. Maybe Todd will be able to keep himself busy thinking about the new spin off show which will be following Savannah and Chase. He certainly seems happy about it, or maybe he’s happy with the publicity! “I’m extremely proud of Chase and Savannah as they continue their journey into adulthood,” Todd has said. We’re so glad to see that Kyle has managed to escape the stress of being Todd’s son, and start afresh. There is only one thing which keeps Kyle looking back, and that is of course Chloe. He has said that he would like to be able to parent her with the help of Chloe, but the relationship between him and Chloe’s mother is just too problematic. Angela says that Kyle her was agressive towards her while she was pregnant with Chloe, according to the Daily Mail. While Kyle says he is in a better place, we can see why she is concerned. There is way too much talk about how much money Todd Chrisley has, or rather, how much he doesn’t have! The Daily Mail reported earlier this year that even though he agreed to settle his bankrupcy case more than two years ago for $150,000, he still owes $70,000! If he isn’t careful, he will be back in court having the decision reversed, leaving him with his original $49 million worth of debt to deal with. Ouch. It’s not just Kyle who has a difficult relationship with his dad. Even Chase sometimes comes under fire. Remember when the family went out on the boat together, and Todd insisted it would be ‘phone free, family time’? Little did he know that Chase had brought his phone along on the boat, and when Todd found it, he was less than happy. He turned to Chase in the water, asking him what he was playing at. When Chase immediately got fresh with him, saying “I didn’t know you brought my phone on the boat” Todd was having none of it. “You’ve got five missed text messages… so you should check them” he said calmly, before throwing Chase’s phone at him, right into the water. “You’re missing a call, I can hear it” he joked, as he blew his furious son a kiss, and taught him a lesson he won’;t forget in a hurry. No phone time means just that in the Chrisley house. Some people might be waiting to hear about their favorite member of the Chrisley Clan, Grayson. At just 10 years old, he might be the only kid to get away with everything he does (remember the Soda saga?) and he is definitely one of the only kids I know to have 40k Twitter followers and almost 100k on Instagram. He got his first ever iPhone at the tender age of four, and is probably one of the luckiest kids on the planet, money wise anyway! It is no surprise to anyone that the Chrisley family has only been seen driving in the most luxurious and fabulous cars, such as Mercedes, Range Rovers, Lexus, BMW… The list goes on. A lot of the show is filmed with the family in the car, going from shopping to spa days to work to school and sports events. The family is always on the! Todd & Julie soon find themselves at a cross road whether or not to give their kids access to the vehicles. The Chrisley family loves cars and luxury so much they even gifted their granddaughter, Chloe, with a pink Mustang convertible for Christmas one year. Let’s just hope Chrisley takes it easy on Chloe when the time comes for her to take driving lessons. One of the most entertaining parts of the show is watching Savannah (try to) learn how to drive. Of course, with help from none other than her dear ol’ dad, Todd. They started simple by driving in empty parking lots, with basic cone maneuvers thought up by Chrisley (who fought hard to keep her off the road, as she didn’t prove very talented behind the wheel). Episode after episode, we watch Savannah attempt to drive, only to Chrisley’s dismay. Who can forget the hilarious and epic shade Todd threw at Savannah as she practiced driving through the cones. The two practiced long and hard in a great effort to make Savannah an experienced and safe driver. But all the practice in the world didn’t do much good, as Savannah became notorious for texting and driving. In fact, there was lots of talk over whether or not this caused one of the scariest moments in all of the seasons. And perhaps Savannah also has more important things on her mind than her new TV show. In January 2017, she was in a serious car accident, where the mat from the floor got caught behind the pedals, sending her car into the rails at the side of the road. Her injuries included broken vertebrae and she was in a huge amount of pain for quite some time. She shared some information on Instagram, and the fans responded with kind messages. January, 2017, the Todd received a phone call late one night, which literally brought him to his knees in fear. When he answered the phone he learned his daughter Savannah, 19 at the time, was involved in a serious car accident. Savannah reports the car mat on the floor of the drivers side had become wedged between the peddles and the floors, making the peddles unable to move. She attempted to bend over and move the mat, but in doing so she lost control and drove into a guardrail on the highway. Savannah was left with a broken vertebrae. While we’re glad to see Savannah all better after her driving accident scare, she isn’t exactly the best driver on the road at the best of times. She denies that she was texting and driving at the time of the accident, and we believe her, as we’ve seen her get into plenty of scrapes even when she is giving it her full attention! Remember when she backed into that metal bollard, right in the middle of driving school? Maybe she would be better off as a passenger! Sometimes, after experiencing something as serious as Savannah’s accident, it makes you take stock of your life, and the people in it. Are you really happy? Is this what you want from your relationships? Soon after the accident, Savannah ended things with her boyfriend, NBA star Luke Kennard. We hope that neither of them are too heartbroken over the split, and can both move on to bigger and better things. This leaves Savannah single as her new show starts, so maybe the love that Todd hinted to is her finding a new man!